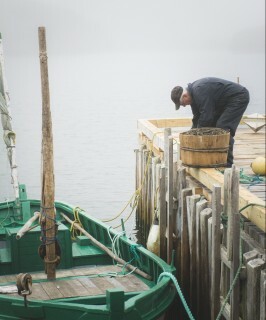 Locally known as a “bully boat,” this style of boat was common from Smith Sound to Trinity Bight for use with handline and trawl into the 1970s. Built in Ireland’s Eye, New Bonaventure and elsewhere in this area, these boats were distinguishable by their washboard gunwales. 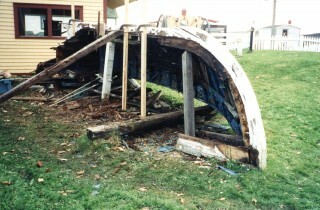 In 2000, Lance Short was reunited with a bully boat from his years fishing with Mr. Sidney Miller when he took on the task of rebuilding her. Originally built in 1949 by Joseph King of New Bonaventure and owned by Mr. Miller, she was about 23 feet long, six and a half feet wide and 38 inches deep. Mr. Miller supplied all the materials and paid Joseph King $80 for labour. After spending a number of years turned bottom-up on display in the garden of the Trinity Museum, Mr. Miller’s boat was beginning to rot. Worried that she was too bad to turn over, Lance took her apart plank by plank and carefully removed each frame. 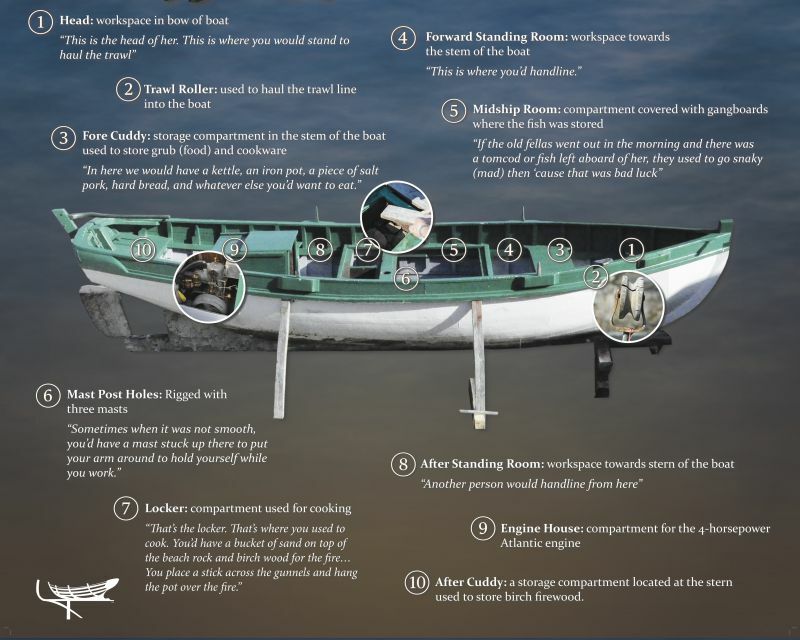 Taking measurements and notes as he disassembled the fifty-one year old fishing boat, Lance carefully reconstructed the Trinity Bay bully exactly the same as the original. 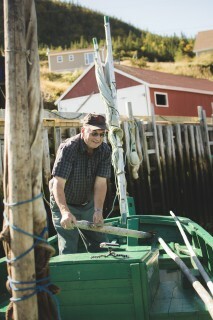 Built with spruce timbers and fir planks, she was outfitted with a four horsepower Atlantic engine and set of sails. 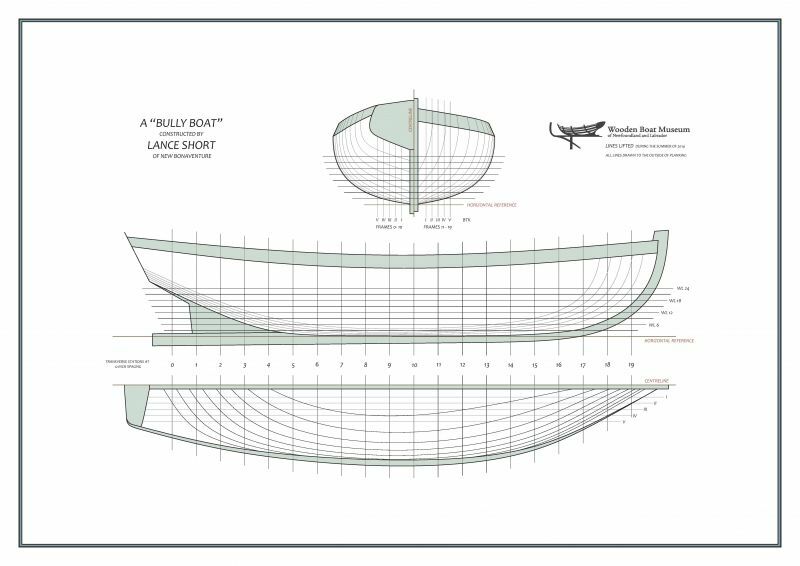 Lance Short explains that the “washboards” not only provide fishermen with more protection when the boat is rolling in ocean swells, but also add extra height above her sheer line to allow for more space when unhooking fish from handlines and trawls.